Boulder House has a dark and mysterious reputation in its small Wisconsin town, but the seniors going there as part of their year-end trip don’t pay much attention to the house’s checkered past. They have their own secrets to protect. 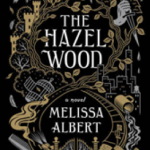 But when they are imprisoned by a supernatural gamekeeper and forced to survive increasingly twisted traps in order to survive, they’ll have to trust each other–and themselves. 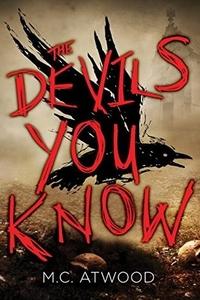 Although The Devils You Know is narrated by five teens, Atwood has created distinct voices for each. The bloody history of Boulder House is a great hook, and the opening chapters tease at the sordid secrets of each character. This is a fast-paced, action-packed horror story that doesn’t pull any punches when it comes to gore. 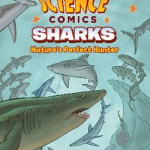 Creepy dolls, killer unicorns, and reanimated sharks round out a cast of unconventional villains. 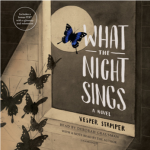 Hand this to fans of quirky horror stories like The Boy Meets Girl Massacre by Ainslie Hogarth, classic haunted house books such as The Dead House by Dawn Kurtagich, or anything related to Five Nights at Freddy’s. Alex is a Spinner, which means she has the ability to stop and rewind time. This makes her a potential danger to society, so like all other Spinners she lives at a Center – a facility designed to house Spinners and restrict their use of their powers. Also like all Spinners, Alex knows she won’t live past twenty years old. She is determined to help Mr. Ross, her police officer partner, solve a string of grisly crimes before she gets “time-sick” and must stop working, but in the process Alex makes a discovery that may drastically change the future she thought was set in stone. 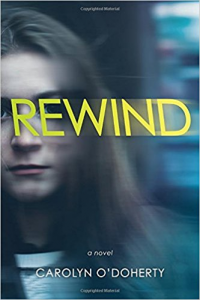 A rapidly-progressing mystery/thriller, Rewind is science fiction that does not take its own science too seriously. With minimal world-building and little introductory explanation, Rewind drops readers right into the world of Spinners, who can stop and rewind a limited amount of time but cannot time-travel or alter the past. 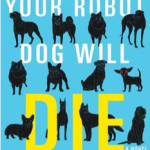 With high-stakes action, well-spaced twists, and continual revelations, this story will keep readers’ attention straight through to its stunning conclusion (and leave them impatiently waiting for the next installment in the series). Similar titles include Daniel José Older’s Shadowshaper series and Vivian Vande Velde’s 23 Minutes, and Rewind will also be a good suggestion for teens who are fans of TV shows like Supernatural and Shadowhunters (based on Cassandra Clare’s Mortal Instruments series). After losing her family in a Nazi concentration camp, Gerta is finally liberated by British soldiers. But how can she move on without her Papa, her home, and her music? 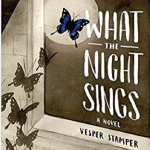 What the Night Sings follows Gerta’s journey of freedom – what happens to a sixteen-year-old Jewish survivor of the Holocaust, and how she learns to find herself again after devastating loss. Told in a lyrical narrative, Gerta’s story is enriched with beautiful pictures, illustrated by the author, which paints a rare look at life after survival during the most brutal parts of World War II. Short chapters paired with emotional illustrations provide the reader with a glimpse into Gerta’s new, post-war world and what it takes to start over after losing everything. 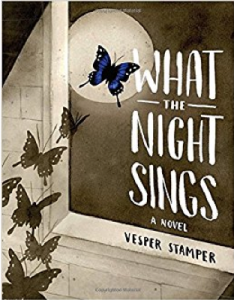 A powerful story about humanity and determination, What the Night Sings looks at life after the Holocaust with a new perspective. Gerta may be from another time, but readers will easily identify with her spirit and quickly empathize with her journey. Similar titles are Between Shades of Gray by Ruta Sepetys, Number the Stars by Lois Lowry, and The Boy in the Striped Pajamas by John Boyne.